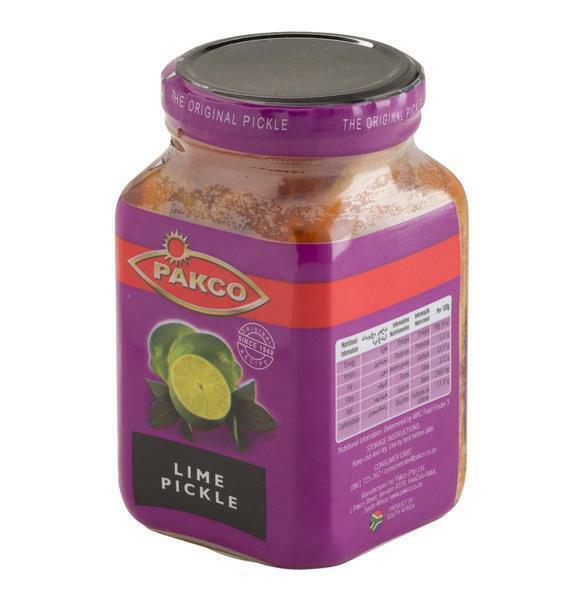 Pakco Lime Pickles, a spicy condiment for most dishes. Also delicious with cold meats and cheese. Made in a factory that uses egg powder, milk powder, wheat gluten and soya.